Alex Haimovich is a Distinguished Professor of Electrical and Computer Engineering and the Ying Wu endowed chair at the New Jersey Institute of Technology. He serves as the Director of the Elisha Bar-Ness Center for Wireless Communications and Signal Processing Research. He has joined NJIT as an Associate Professor in 1992. From 2003-2005 he has served as Director of the New Jersey Center for Wireless Telecommunications, a state funded consortium in which participated NJIT, Princeton University, Rutgers University and Stevens Institute of Technology. He has been at NJIT since 1992. 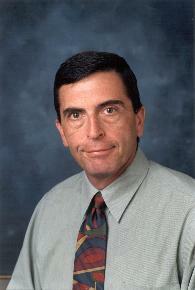 Prior to joining NJIT, he served as Chief Scientist of JJM Systems from 1990 until 1992. From 1983-1990 he worked in a variety of capacities, up to senior staff consultant, for AEL Industries. Alex received the Ph.D. degree in systems from the University of Pennsylvania in 1989, the M. Sc. degree in electrical engineering from Drexel University in 1983, and the B.Sc. degree in electrical engineering from the Technion, Haifa, Israel in 1977. His research interests include multi-sensor radar systems, localization, MIMO communications, and blind signal processing. He is a Fellow of the IEEE.